As well as being the very proud producers of our deliciously delicate Castle Brook Classic Cuvée, we also produce some of the very best British asparagus here at Cobrey Farms, under the Wye Valley Produce brand. Therefore, the month of April is very important to us, as the first buds of colour start shooting from the ground. Usually beginning around St. George’s Day, the asparagus season is short but sweet and only here for a couple of months, so we certainly like to make the most of it. Fresh, delicate and full of flavour, the green, purple and white spears of goodness are a real culinary delicacy. 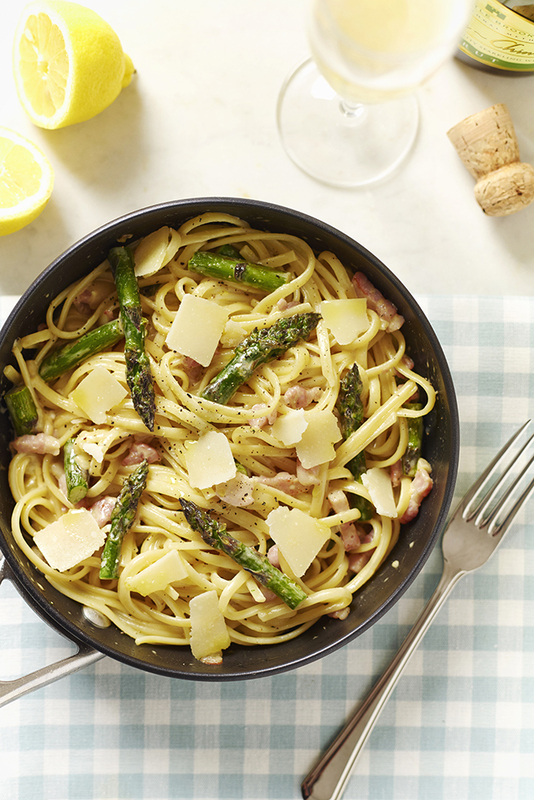 As with all fresh fruit and veg, asparagus tastes best when in season, so now is the time to start planning your recipes for the forthcoming season. You can buy our in-season, quality asparagus here & our English sparkling wine here. We’re also giving away a bottle of fizz over on our Facebook page, so head on over & enter to WIN in time for the asparagus season!